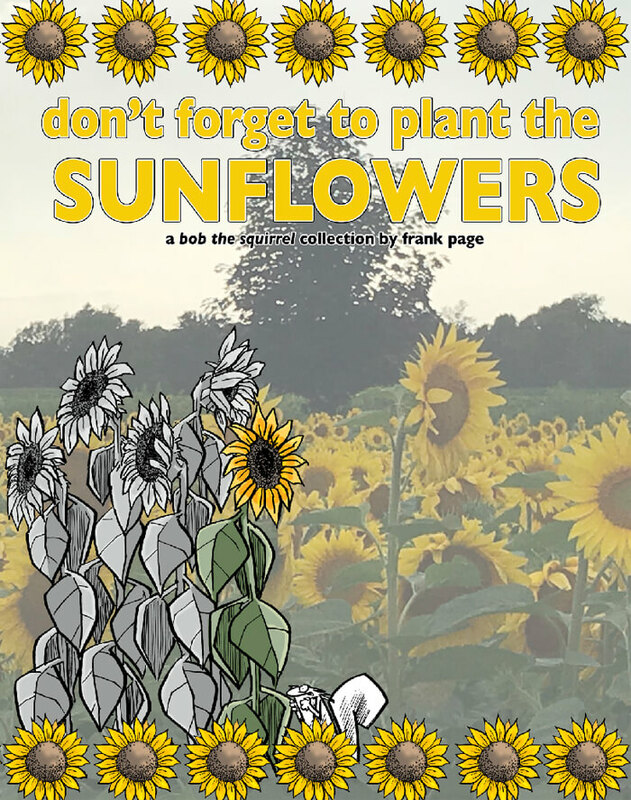 don’t forget to plant the sunflowers – a collection of the 2018 bob the squirrel daily comic strips. 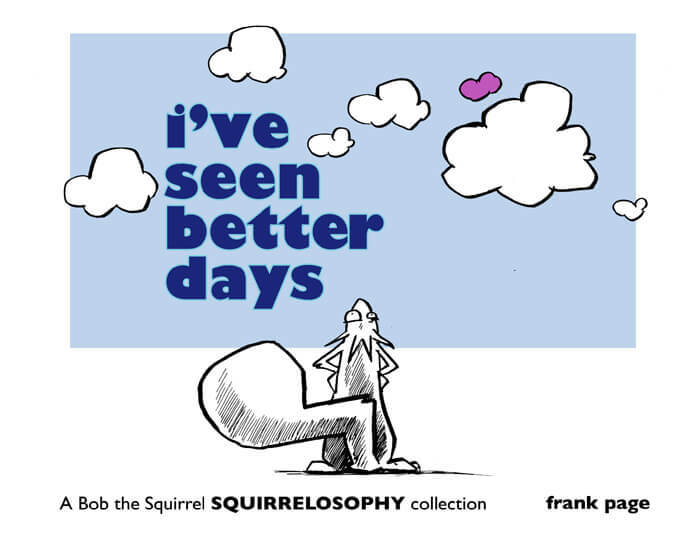 By the way, this is the 14th Bob the Squirrel comic strip collection. (whoa) Those of you that have been with us will know that 2018 has been a bit of challenge. But we’ve almost made it… click here to grab your very own copy. i’ve seen better days – the 2018 SQUIRRELOSOPHY collection. This is the 7th SQUIRRELOSOPHY collection (double whoa). 140 pages of weird squirrel goodness. It’ll have you thinking on one page and laughing on the next. If you like weird and you love squirrels… it’s a good book to have. click here to grab your very own copy. Reinventing the Squirrel – 2017 Bob the Squirrel collection NOW AVAILABLE! It took all year, but it’s finally here! The 2017 Bob the Squirrel comic strip collection – REINVENTING THE SQUIRREL. It happens to be the largest collection yet… filled with every strip posted this year along with the 2016 strips left off from last year’s collection. I’m always excited when new collections are done and this one is no exception. Only $12.95… Click here to grab your copy today! 2018 Bob the Squirrel Calendar is in production! Just sent off the files for the 2018 Bob the Squirrel Calendar. I’m really excited about this because it’s all me. In the past I’ve gone through Lulu.com for the calendars. The calendars were nice, but they didn’t allow for much in the way of customization. The months were all uniform and kinda not me. So this year, I’m printing them up on my own. Everything is customized to look like my comic handwriting. There are a lot of clouds too. I’ll only be printing a small quantity so once they’re gone, they’re gone. When it comes closer to delivery, I’ll post ordering info. Squirrelosophy Artist Editions now available!